Ideal to protect hands from cuts and abrasions, the Ansell HyFlex 11-735 Cut-Resistant Gloves are ideal for providing enhanced hand protection for a wide range of industries. The grey colour makes them perfect for use in environments with dirt exposure, while the palm coating offers improved grip and abrasion resistance. The product code for the gloves is: 11-735. The table below showcases the test results of the Ansell HyFlex 11-735 gloves according to EN 388 Mechanical Risk specifications. 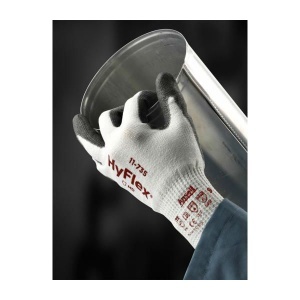 The Ansell HyFlex 11-735 Gloves are available in a choice of sizes, making them suitable for most users. Please consult the table below for details, then select the required size from the drop-down menu at the top of the page. 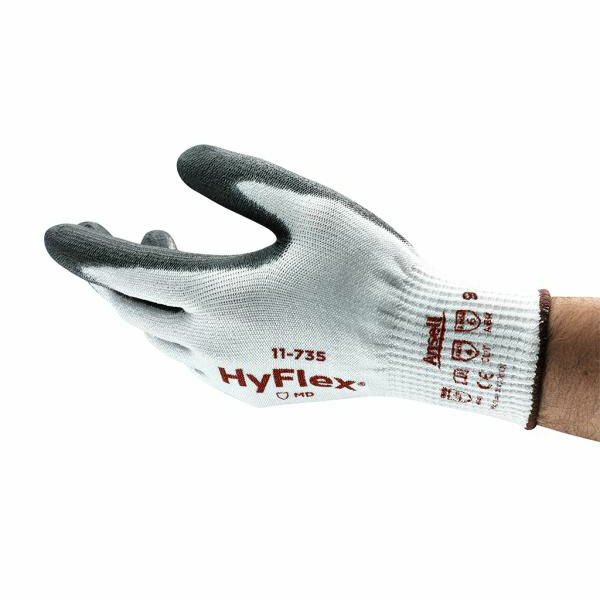 The gloves have a length of 215mm to 267mm.